Over the past couple of months I have been party to a number of ‘playground conversations’ with parents concerned about various sleep struggles their children are experiencing and the knock on effect it can have not only on their day to day functioning but also family life. So, what can you do to help your child fall asleep easier and stay asleep throughout the night? Firstly, it is important to acknowledge that (a) some children just have a harder time relaxing and falling asleep than other children and (b) that it is really common for 8 to 12 year olds to start struggling with sleep! Often we, as parents, find children in this age range take longer to get to bed. Maybe they are taking longer to fall asleep or showing increasing levels of fear and/or anxiety about going to bed alone. At this age it is important for children to have adequate sleep as they are growing and becoming increasingly active both in school and at after-school activities. They need well rested minds and bodies to strengthen cognitive ability, memory, alertness and overall mood and behaviour for school and learning. 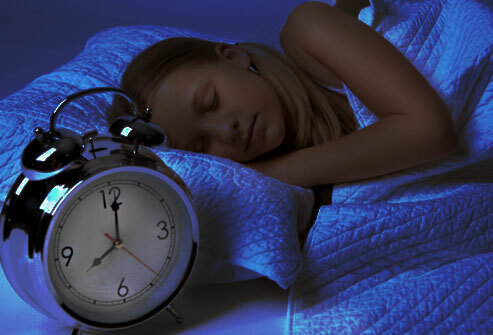 It is recommended that children at this age need 10 – 11 hours of sleep per night. However, it is not uncommon for them to sleep far less. So why might my child be sleeping less than they need? The average age of puberty for girls is between 10 and 12 years of age and for boys between 12 to 16 years of age. It’s during this age group that there is a shift in their natural sleep rhythms. Melatonin (our sleep hormone) is secreted later at night. It is this hormone that signals to the body that it is time to go to sleep. While this may not happen as early as 8 years of age, when the shift does occur, it can be biologically impossible for tweens and teens to fall asleep at an earlier bedtime even if we want them to! This is the age when activities, sports and homework increase. Bedtimes become later and over-scheduling leaves children over tired and exhausted making it more difficult for them to fall asleep. In addition, technology is ever present and often finds its way into children’s bedrooms. Sleep is being traded for staying up to date on social media sites or catching up on TV shows or YouTube. Recent research has suggested that many parents are sending their children to bed too early and long before they are ready to fall asleep. If their bodies haven’t yet produced enough melatonin (a sleep inducing hormone). Children who are put to bed too early become understandably bored, and, as they lie awake with nothing to do, may find their minds dwelling on anxieties and fears. At this age it is common for children to have fears and anxieties about school work, social environments and family difficulties or worries about illness and death. This can keep our children’s brains very busy, making it very difficult for them to ‘switch off’ and fall asleep. This can be problematic as when we become over-tired, we keep ourselves going by releasing stress hormones such as cortisol and adrenalin into our bloodstream. When a child is over-tired, (s)he may be swamped by those bio-chemicals, (which stay in the bloodstream for more than 24 hours), thus making it harder to fall asleep the following night. What can I do to help my child fall asleep easier? Ensure the run up to bedtime is calm with no electronic devices at least an hour before bedtime. The light from devices such as televisions, iPads, computers and mobile phones keeps the body from making melatonin. Use this time to decrease any stimulation, connect with your child and prepare them for sleep (see below). Try to avoid exercise 1 to 2 hours before bedtime (although you might be tempted to wear your child down with exercise, research suggests that exercise keeps people alert for at least two hours after it’s over). Be mindful of what they eat before bedtime and avoid anything with caffeine (which stays in the body for 8 to 14 hours). Have a drink of warm milk and eat a carbohydrate rich snack beforehand to improve the efficacy of the milk’s tryptophan. Abanana (carbohydrate) is a good source of both potassium and magnesium which are natural muscle relaxants and has been known to help release serotonin, which can be sleep inducing. Address childhood anxieties and fears before bedtime through communication and relaxation techniques. Be mindful to remove the pressure of sleep off both of you – it can become a stressful cycle. Your child will stress before bedtime because (s)he knows (s)he’ll have a hard time falling asleep, you and (s)he may argue about it which will stress you both out so no one will fall asleep any time soon! Children often feel the pressure when just being told to go to bed. Remain calm and explain why it is important to sleep, supported by various techniques that can help him/her get there! Think about swapping bedtime stories for colouring. With the increase of adult colouring the calming benefits of this activity is being proven. Colouring with your child is not only relaxing but also provides the opportunity to ask open-ended questions that may help you to find out more about their day and what may be causing some of their anxieties. Think about suggesting your child creates a journal which (s)he is happy to share with you. Use the journal as a safe place where your child can write down any worries or concerns that they want you to know about (with the understanding that you will read it). Sometimes it is difficult for children of this age to admit their fears out loud even when they want to share them with us, the journal can act as a bridge for communication between you. Teach your child to relax before bedtime through mindfulness, yoga and breathing techniques. These strategies will help relax their body and quiet their mind making it easier for them to fall asleep. Ensure that you both have a clear understanding of the bedtime routine so that your child is clear on the expectations at bedtime and throughout the night. Finally, avoid ‘band aid’ solutions such as medication. The first and most effective route to take before any sleep aid supplements should be modifications to the child’s behaviour and emotional state. Good Luck!